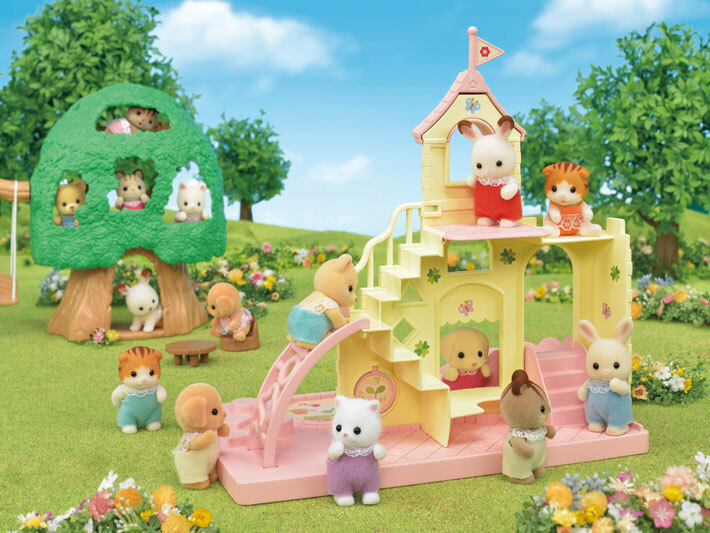 Baby Castle Playground is a castle-themed playground for babies, and includes one baby figure. 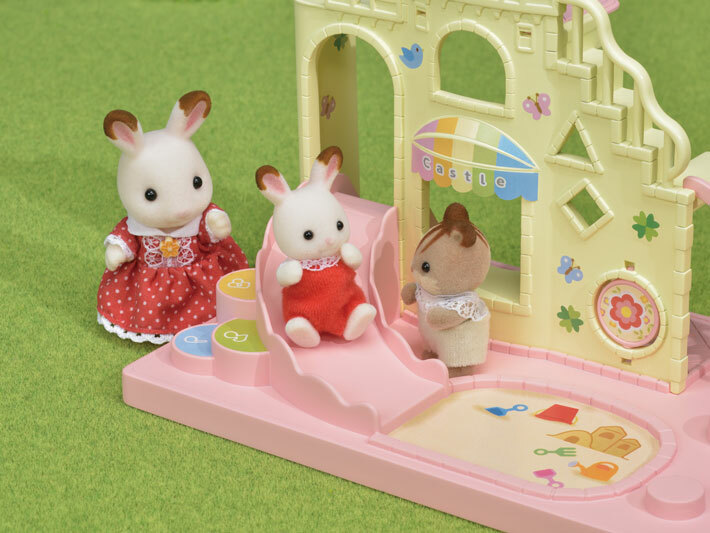 Baby Castle Playground comes as a set with one Chocolate Rabbit Baby figure. 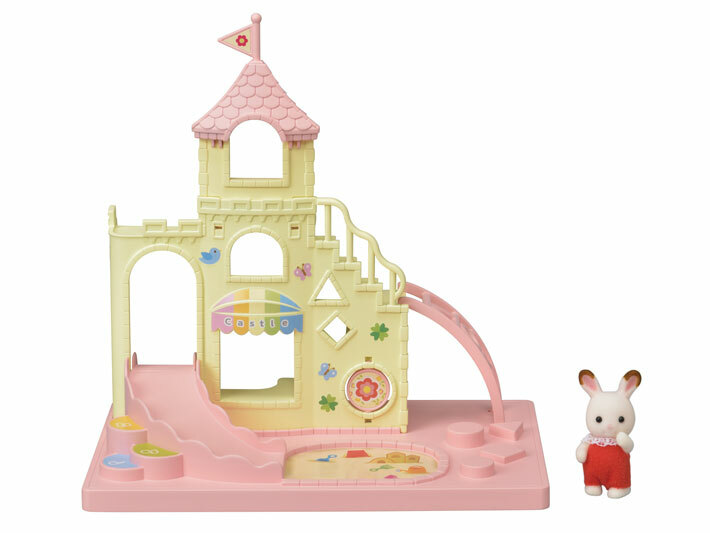 This playset is immediately ready for play as a stand-alone product. 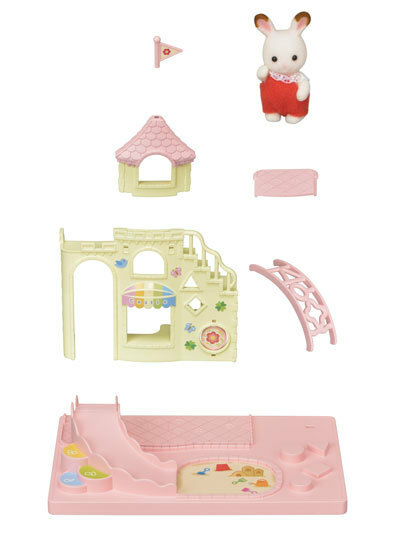 It includes a slide, ladder, sandbox, and other fun baby playthings. The castle parts can also be placed on top of Baby Castle Nursery for an even more elaborate school setup (sold separately).